Comment: We need a pest inspection for a VA home loan. Comment: Ants found in kitchen, by garage, along walls at front exterior of house. Comment: Ants keep getting in the kitchen on the countertop and we can't figure out where they are coming from. We have had a few cockroaches in the past that we don't want to come back either. Comment: I would like to get an estimate for the extermination of some bed bugs for my home in Garner. I had a family member stay with us and now I believe that the home is infested with bed bugs. We have gotten bites and seen evidence in the mattresses. I prefer to be contacted via e-mail or after business hours because I work during the day. Please contact me directly about your rates. Thank You. Orkin, Inc. / Rollins, Inc.
All In One Termite & PC, Inc.
Garner Pest Control Services are rated 4.69 out of 5 based on 291 reviews of 8 pros. 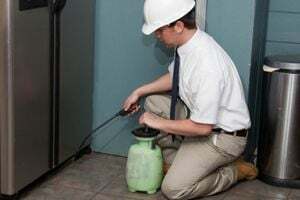 Not Looking for Pest Control Contractors in Garner, NC?